Other Names: Doink The Clown(WWF), Big Josh(WCW), The Original Evil Clown, "Maniac"
- NWA Pacific-Northwest Salem City Tournament '82 = Borne won the tournament. - Mid-South Superdome Extravaganza (November 25, '82) = The Rat Pack (Borne & Ted DiBiase) retained the Mid-South Tag-Team Titles, beating Terry Gordy & Buddy Roberts. - WWF Wrestlemania I (March 31, '85) = Borne was pinned by Ricky Steamboat. - NWA Hawaii Polynesian Hot Summer Night (August 3, '85) = Borne fell to Seiji Sakaguchi. - WCCW Independence Day Star Wars (July 4, '86) = Borne, Butch Reed, & Buzz Sawyer lost to the WCCW Six-Man Tag-Team Champs, Kevin, Lance, & Mike Von Erich. - WCCW Labor Day Star Wars (September 1, '86) = Borne & Buzz Sawyer won, via Countout, over Kevin & Mike Von Erich, then beat Mark Lewin & Kevin Sullivan, the Youngbloods, and Chris Adams & Lance Von Erich to win the vacated WCCW Tag-Team Titles. - WCCW 3rd Cotton Bowl Extravaganza (October 12, '86) = Borne & Buzz Sawyer retained the WCCW Tag-Team Titles, winning, via DQ, over Steve Simpson & Dingo Warrior. - WCCW Thanksgiving Star Wars (November 26, '86) = Borne & Brian Adias wre beaten by Lance & Mike Von Erich. - WCCW Christmas Star Wars (December 25, '86) = Borne was pinned by Tony Atlas. - NJPW Sumo Hall (April 27, '87) = Borne took down Kantaro Hoshino. - WCCW 4th Von Erich Memorial Parade of Champions (May 3, '87) = Borne & Steve Casey defeated Black Bart & Jack Victory. - WCCW Labor Day Star Wars (September 7, '87) = Borne & the Spoiler won a "Tug-of-War" Match over Ted Arcidi & Percy Pringle. Later on, Borne lost to the NWA Texas Champion, Arcidi. 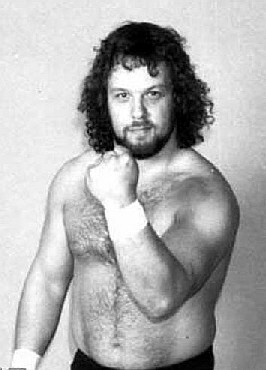 - WCCW Thanksgiving Star Wars (November 26, '87) = Borne & Chris Adams won, via DQ, over the Iron Sheik & the Thing. - WCCW Christmas Star Wars (December 25, '87) = Borne retained the NWA Texas Heavyweight Title, beating the Iron Sheik. - WCW Superbrawl '91 (May 19) = Big Josh pinned Black Bart. - WCW Clash of the Champions XV (June 14, '91) = Big Josh fell to Danny Spivey. - WCW Great American Bash '91 (July 14) = Big Josh defeated Blackblood. - WCW Clash of the Champions XVI (September 5, '91) = Big Josh competed in a "Battle Royal", which was won by El Gigante. - WCW Halloween Havoc '91 (October 27) = Big Josh & PN News took down the Creatures. - WCW Clash of the Champions XVII (November 19, '91) = Big Josh won a "Lumberjack" Match over Tommy Rich. - WCW Starrcade '91 (December 29) = Big Josh & Van Hammer fell to Steve Austin & Rick Rude in the Battle Bowl Semi-Finals. Sting won the Battle Bowl. - WCW Clash of the Champions XVIII (January 21, '91) = Big Josh & Brad Armstrong were beaten by the Freebirds. - WCW Superbrawl II (February 29, '92) = In a dark match, Big Josh won over Diamond Dallas Page. - WCW WrestleWar '92 (May 7) = Big Josh defeated Richard Morton. - WCW Beach Blast '92 (June 20) = In a dark match, Big Josh, Tom Zenk, & the Junkyard Dog beat Richard Morton, Tracey Smothers, & Diamond Dallas Page. - WWF Royal Rumble '93 (January 24) = In a dark match, Doink the Clown forced Jim Powers to submit. - WWF Wrestlemania IX (April 4, '93) = Doink the Clown defeated Crush. - WWF UK Rampage '93 (April 11) = Doink the Clown took down Kamala. 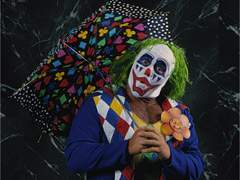 - WWF King of the Ring '93 Tournament (June) = Doink the Clown lost in the first round to Mr. Perfect. Bret Hart won the tournament. - WWF Summerslam '93 (August 30) = Doink the Clown lost, via DQ, to Bret Hart. - NWA World Title Tournament (August 27, '94) = Borne fell to 911. Shane Douglas won the tournament. - Wrestle Reunion 2 (August 27, '05) = The Original Evil Clown, Steve Corino, Andrew Martin, & the Masked Superstar were beaten by Dusty Rhodes, Tom Prichard, D-Lo Brown, & The Blue Meanie.